It is becoming increasingly obvious that efforts to stimulate growth and advance the cause of development in the life of the Nigerian Child basically lies in a conscientious effort of giving him adequate nutrition from the first week of delivery down to the first one thousand days of adolescence. This was the theme of discuss by a team of experts at the Wednesday, June 15, 2016 PEAK Nutrition Forum organized by leading Nigerian Diary Producer, FrieslandCampina the producers of the PEAK and Three Crown dairy brands in Lagos. The event which took place on the 2nd floor of the Prestigious Oriental Hotel, Lekki; Lagos-South West Nigeria had experts and stakeholders in the nutrition and mind health development sector of the country tackling the issue of poor nutrition in Nigeria. 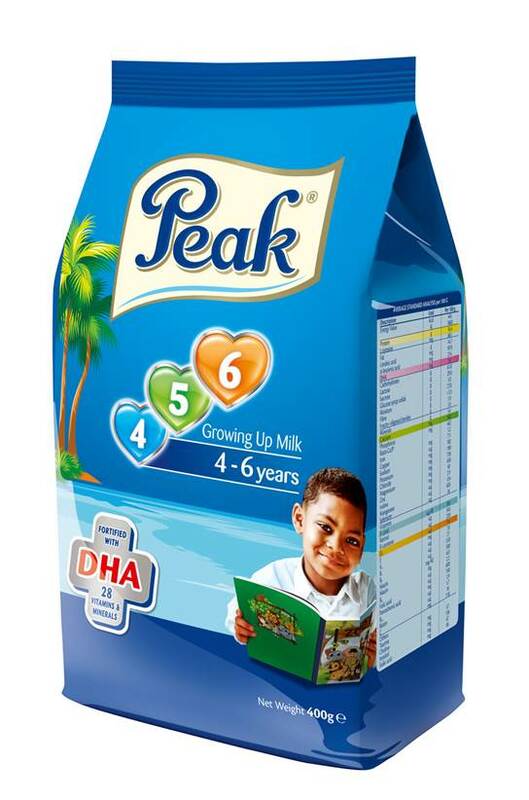 The event also witnessed the launching of a brand new PEAK milk brand, PEAK 4 5 6 which is scientifically produced for the growth and development of children between age 4 to 6 years. Recall that PEAK already had the PEAK 1 2 3 for children of ages 1 to 3. With PEAK 4 5 6, it appears FrieslandCampina is taking her nutrition security plan a step further to give comprehensive care to the Nigerian child from cradle to year 6. The PEAK Nutrition Forum is an annual event which brings up topical issues in the health and nutrition sector with the invitation of experts from diverse disciplines in the health sector to deliberate and set agenda for government at both local and national level on how to use nutrition as a weapon to develop the human capital sector of the country. This year’s edition was on ‘the Power of milk for the brain of a child in his or her formative years’ and the speakers for the 2016 edition seems to know more than the organizers on the issue of using milk to develop the brain and giving nutrition security to the Nigerian child. Apparently tired of seeing the Nigerian child slide deeper into the pit of intellectual paralysis with grave danger for tomorrow’s leadership, many of the discussants at the forum appear to be giving themselves conscientiously to reversing the ugly trend. Their resolve to facilitate the retrieval of the brain of the Nigerian child from the stinking and humiliating gutters of intellectual paralysis is seen to steam the heart of the theme. Moderating the discuss was Dr. Adegboyega Ogunwale, a Consultant Psychiatrist at the Neuropsychiatric Hospital, Aro, Abeokuta, Ogun State-South West Nigeria. Guests, journalists, nutritionists and other invited stakeholders at the forum wondered why FrieslandCampina would have a Psychiatrist moderate and proffer solution to issues relating to human nutrition. But it was soon discovered that FrieslandCampina’s strategy is a novelty as many cases of mental retardation and mental health destruction actually began with poor nutritional regimes between the ages of 4 to 7 years which are the most critical years of a child’s brain. The need for a Psychiatrist to tell the story of ‘how vulnerable the mind is if not well fed’ was appreciated. Co-discussants are; Prof Ignatius Onimawo a PhD holder in human nutrition and specialist in human energy balance. Professor Onimawo who attended the event with his beautiful wife, Mrs. Jane Onimawo is presently the Vice Chancellor of the Ambrose Ali University, Ekpoma-Edo State—South-South Nigeria. Dr. John Akintunde Okeniyi the second discussant is a human physiologist and a consultant pediatric cardiologist with interests in neonatal care. He is presently a lecturer (associate professor) in pediatrics and child health with over 40 academic publications at the Obafemi Awolowo University, Ile-Ife,-Osun State-South West Nigeria. The father of 4 lovely kids stormed the event with his son, Oluwatobiloba. Mrs. Tolulope Owolabi a Certified Chattered Accountant and Mother of two was the only female on the panel while Mr. Tarang Gupta, the Marketing Director of FrieslandCampina and father of one sat on the panel as a member. Opening the discus, Dr. Adegboyega Ogunwale, who is a musician, psychiatrist, writer, lawyer and mental health expert alerted stakeholders in the nutrition community that his ‘team of four help finders’ were more than intelligent and capable enough to re-invent Nigeria with their suggestions. Ogunwale who is also gifted with the wit of language and literature mesmerized his listeners with his conscientious quotations from various philosophers on the marriage of nutrition, nurture and nature. The mental health specialist quoted philosopher Socrates in his opening remarks saying that ‘Let your food be thy medicine and let thy medicine be your food’. He opened the forum with pomp and nostalgia. What the experts said about Milk…. First to speak was Dr. Akintunde Okeniyi. He blamed the Nigerian government his opening remarks, for taking a back seat in the simple task of using milk to develop the brain of the average child. He noted that Britain, after the Second World War made it a compulsory effort to deliver milk to the door steps of every home around the country and later sustained it as a national exercise. The human physiologist said that single gesture of giving her citizens milk is the reason why Britain became Great Britain. The Doctor noted with pain that majority of Nigerian children today are not getting the best desired nutrition which has made about 30% of Nigerian children stunted physically because of lack of requisite energy to develop their brains and bones. Okeniyi noted that “children between ages 4 and 5 are the worst hit as they suffer malnutrition in most cases and by age 5 when they need the adequate nutrient to grow, they become weak and become victims of stunted growth because their system lacks the requisite energy”. Professor Ignatius Onimawo in his opening remarks took his allegation directly to the child in the womb. The Professor of human nutrition and human energy balance believed that 70% of Nigerian children lost their intellectual and physical balance right from the womb. “If a Pregnant mother is adequately nourished the child in her womb will develop well up to 4kg at birth and it will affect the child’s brain”. The Prof stated further, “70% of brain developments take place in the womb. And when the child is born, all the critical nutrients the child needs for growth are already situated in the breast milk and for 6 months, you are to feed that child with undiluted breast milk but after that you need complementary nutrient. For those who cannot feed their babies beyond 6 months, the critical nutrients are Maize, Sorghum, Millet and others, that will stimulate brain development and physical activity”. Mrs. Tolulope Owolabi a Chartered Accountant and mother of two gave her own side of the milk-for-child’s-brain development story “For me, I have two daughters. One likes to corporate with me when it comes to eating but the other one is choosy and has a poor eating habit”. Mrs. Owolabi gave her strategy out “Sensing that I have to give her the necessary nutrients at her formative years, coupled with the fact that she is a difficult consumer, I apply my strategy which is to mix those things I need to give her with her regular food and ensure she consumes them because nobody want to have dullard at the end of the day” Mrs. Owolabi noted that in most cases, mothers who have the means to give their kids the required nutrients to grow end up having difficult children who do not like to eat or choosy with their meals. She advised mothers to ensure such children are brought out of their low consumption situation by adding milk to their favorite cereals to enable them have a balanced diet that will promote the growth of their brains and bones. She praised FrieslandCampina for taking the initiatives to produce the PEAK 4 5 6 which will help many working mothers to make the right meal decision for their kids. Tarang Gupta the Marketing Director of FrieslandCampina in his opening remarks said it was not a mistake for his company to have gone back to the drawing board to produce the PEAK 4 5 6 brand.  The very versatile multi-linguist Marketing guru said “It was necessary for us to create a specialized nutrition product like PEAK 4 5 6 to alleviate the anxieties of Nigerian Parents”. Gupta noted that as a father, he is filled with anxieties on what his child could turn out to be in the future and while coping with her studies “We looked at the fear that is driving parents in our society and we looked back at science and we discovered that no child will ever go wrong with milk. Milk is the easiest meal to take and digest and the multiplying effect on the brain is quite huge. So, we look at the three cycles of nurture, nature and nutrient and we discovered that even though nature cannot be cheated but we need to nurture the culture of a good nutrient regime for our children in order for them to grow healthy and productive in life”. In her closing remarks, Mrs. Tolulope Owolabi encouraged Nigerian mothers to see the time they spent in feeding their kids with the right nutrient as the best investment “Nothing can be good like an intelligent child. You must find a way to feed your child with the desired nutrient in his or her formative years. You will surely reap the benefit later in life”. Tarang Gupta, the Marketing Director of FrieslandCampina assured parents that his company will continue to churn out growth desired nutrition products that will aid the well being of their children “We are known for quality in the business of nutrition and the only thing we have going for us is that our company pays premium attention on family values, intelligence and growth. A Japanese proverbs says ‘The strength of a building to hold any sort of calamity is its foundation’; our company has its foundation in families, from 1871 when we started we have been carried by families and not factories. We believe that if we build the family the family will build the society. We have a cradle to death nutrition plan for families and we have adhered strictly to our principles in the last 60 years of PEAK”. PEAK 456 was later unveiled by Professor (Mrs.) Ngozi Nnam (FNSN) a professor of Public Health Nutrition and President, Nutrition Society of Nigeria. She was joined by other eminent dignitaries like Mr. Aart Jan Triest, the global Chief Marketing Officer, FrieslandCampina-Netherlands and representative of Lagos State Government.